Home » Stories and Recipes » Basil » Plato tradicional. 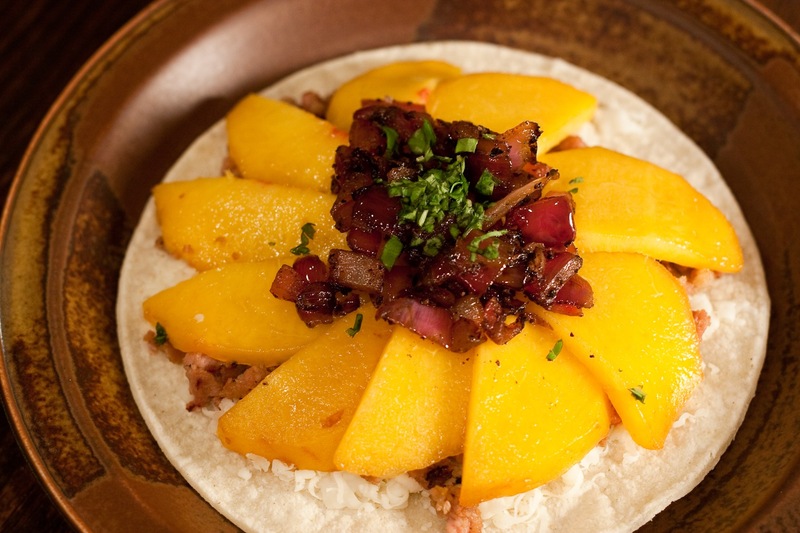 Peach and sausage quesadillas from Jonathan Bardzik on Vimeo. *No Asian Barbecue sausages on hand? Sauté any good pork sausage and add a tsp of Chinese 5 Spice powder and a tablespoon of soy sauce while cooking. Squeeze the sausage from the casings and sauté over medium heat, breaking it up with a spoon until crumbled, browned and cooked through. Remove with a slotted spoon and reserve. Add 1 tbs olive oil to pan and sauté onion until softened and edges begin to brown. Return sausage to pan. Season with cumin, vinegar salt and pepper.